This Bike Pic Friday digging through the archives we found this biker chick ready for a good time with a rental bike in San Diego. CA. 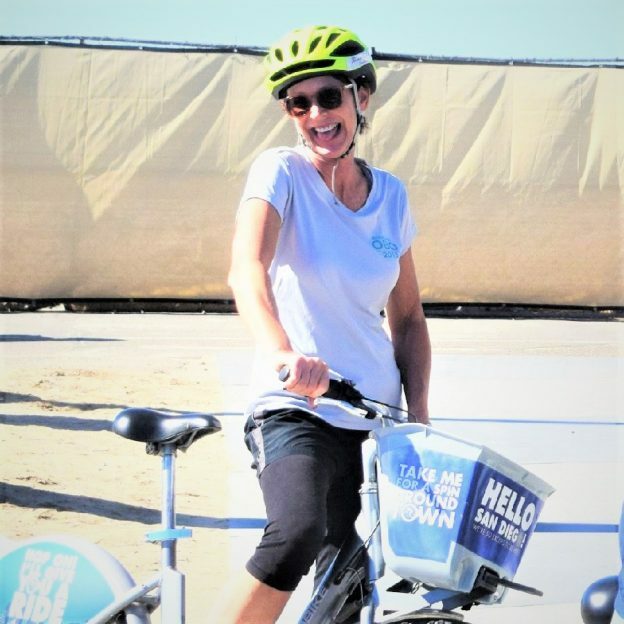 This entry was posted in Picture of the Day and tagged #nextbikeadventure, bike guide, Bike Ride, bike touring, biker chick, dockless bikes., more kids on bikes, pic of the day, renat bikes, San Diego CA on December 14, 2018 by Russ Lowthian.